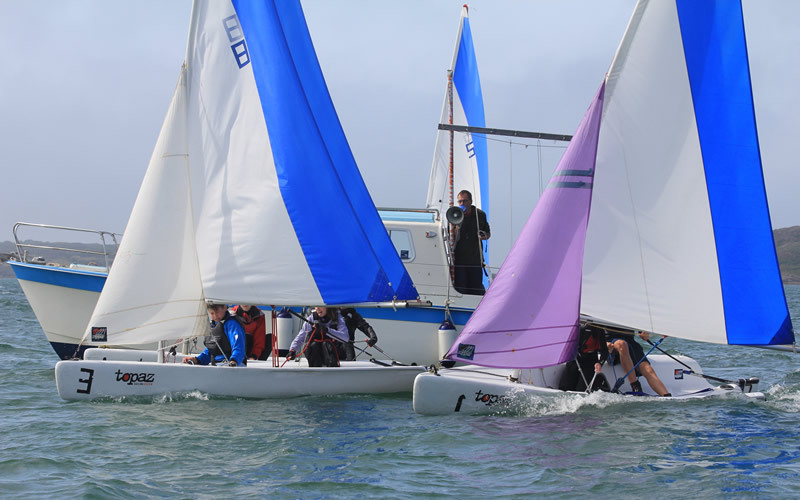 The annual Rambler 100 Team Racing Event was held on Sunday at Baltimore Sailing Club. 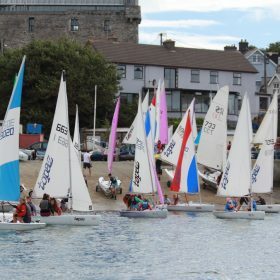 This event encourages all young sailors to compete as helms or crew with a combined age of no more than 30 years. 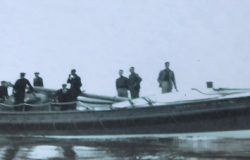 The competition sees two teams race – 2 boats versus 2 boats. Nearly 50 sailors signed up however, the early morning fog did nothing to dampen their spirits. The trophy was very kindly donated by George David to commerate the capsize and subsequent rescue of the Rambler 100 crew on August 15, 2011 off the Fastnet Rock. The competition sees two teams race – 2 boats versus 2 boats. Nearly 50 sailors signed up however, the early morning fog did nothing to dampen their spirits. 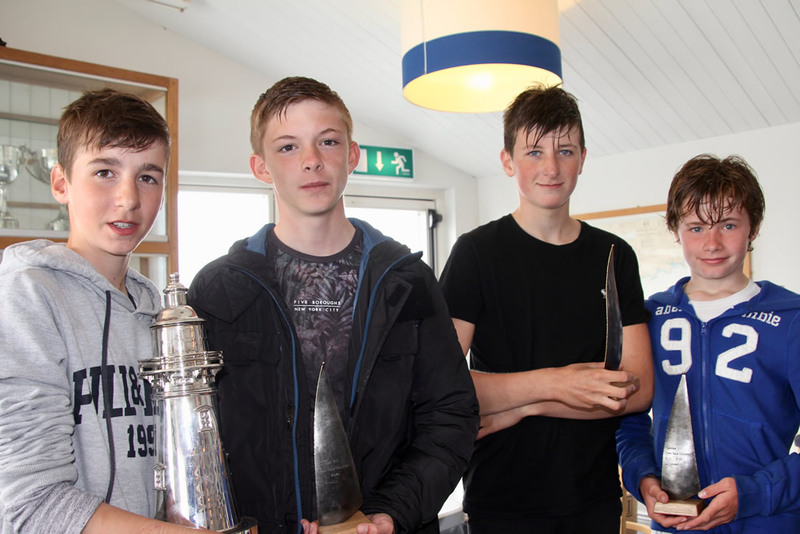 The trophy was very kindly donated by George David to commerate the capsize and subsequent rescue of the Rambler 100 crew on August 15, 2011 off the Fastnet Rock. 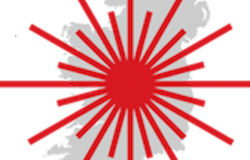 This was the 8th time the event had been contested and this year was just as competitive and exciting for all sailors and spectators. Registration was held while everyone waited for the fog to lift. A race briefing was then held along with team announcements giving the sailors time to prepare their boats. Thankfully, the fog cleared and crews took to the race course in the harbour within sight of the pier. 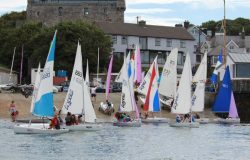 It was a hectic schedule of races – 30 races initially to complete the round robin before the semi finals and final races took place. 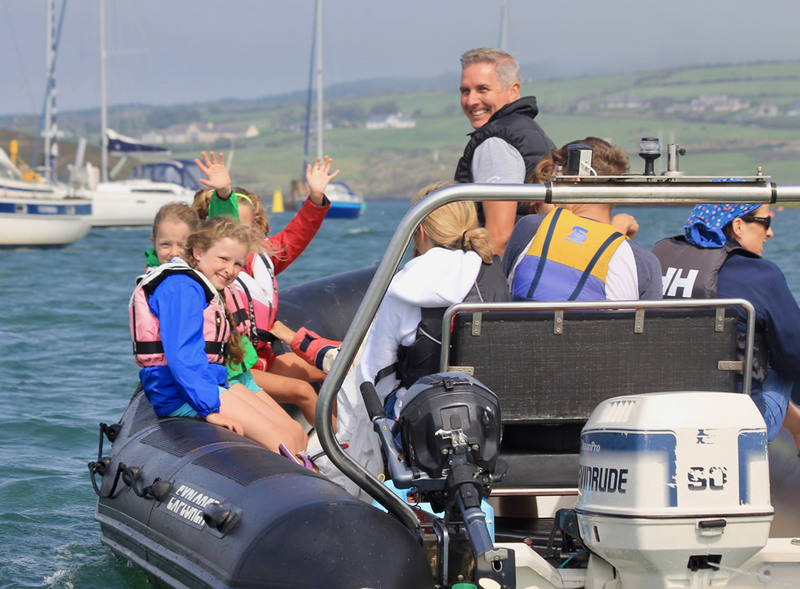 Third Place team – Keelin Greene (captain) with crew Emer O’Neill, Sarah O’Flynn (helm) with crew Jenya Kelly. 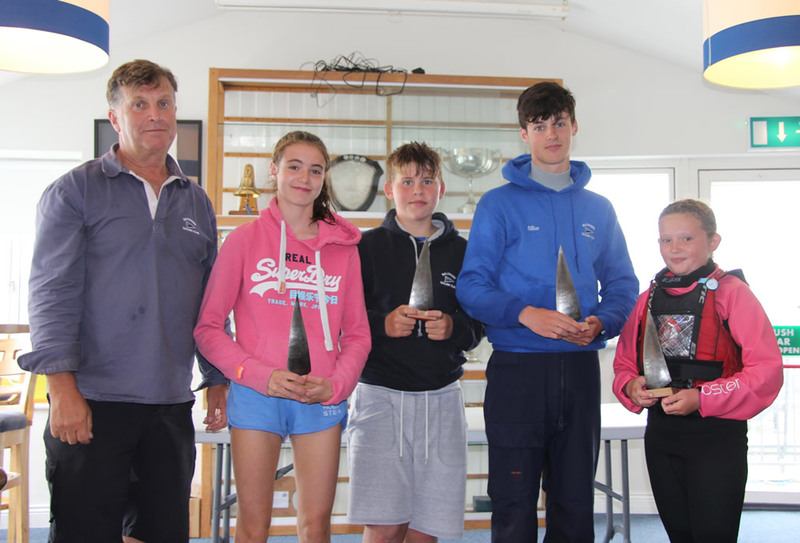 Second place team – Cillian Walsh (captain) with crew Jenny O”Brien, Katie O’Keeffe (helm) with crew Seamus Griffiths. 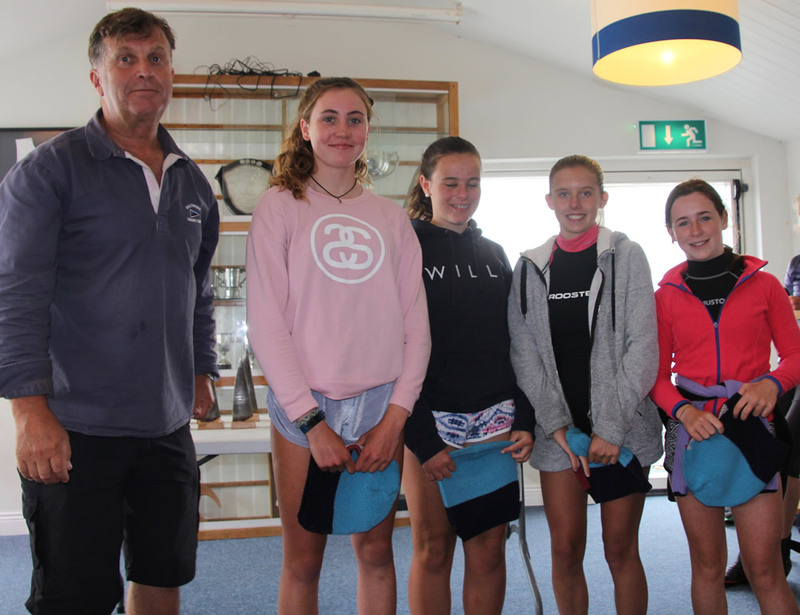 Well done to all the sailors for making this event a fun day on the water for all!.